For too long, life scientists convened around a narrow technology based theme( e.g., genomics, proteomics). But " no molecule is an island". Twenty-first century scientists are now convening and catalyzing a "science of hows" for (1) COLLECTIVE INNOVATION and (2) BIG DATA driven discovery. 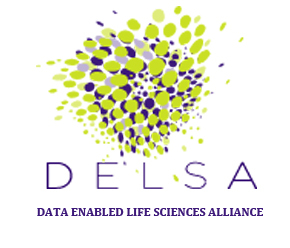 Hence, the Data-Enabled LIfe Sciences Alliance International (DELSA Global) was formed as the Digital Commons for the life sciences community. The mission of DELSA Global is to "accelerate the impact of Data-Enabled LIfe Sciences research on the pressing needs of the global society"